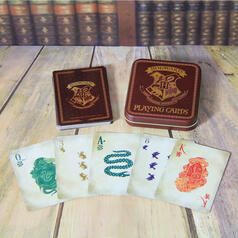 Harry Potter Playing Cards "Dark Arts"
Move along, wizard chess! It's poker time! Whereas Harry Potter, Ron, Hermione and the rest of the "good" wizards and witches often play wizard chess in their spare time, Lord Voldemort and the Death Eaters prefer the most classic bad boy game in existence: poker! 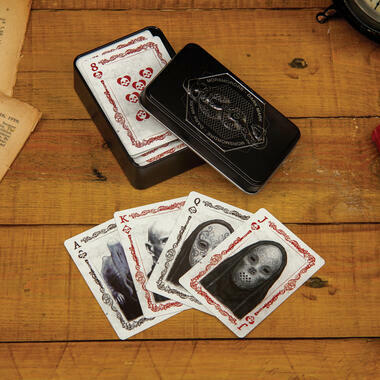 But since the Dark Lord hates muggles, him and his henchmen don't use regular cards, but rather a more... sinister deck.